I just learned that the guy whom I have seen VERY OFTEN on the commercials to sell all kinds of products which he was salesmen for just passed away. I’ve seen him for years but never known his name until now. His name is Billy Mays. He was funny but good on the commercials. The most notable commercial he did probably is for OxiClean. On June 29, after an initial autopsy on Mays’ body, Dr. Vernard Adams, the Hillsborough County, Florida medical examiner, stated that Mays suffered from hypertensive heart disease and that heart disease was the likely cause of his death. However, a final determination as to the cause of death would not be made until toxicology and tissue tests were complete. 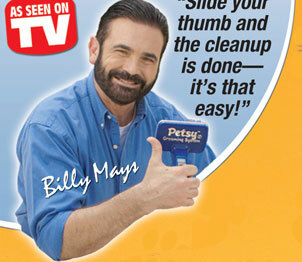 RIP .. Billy Mays.. You can sell anything! Categories: Miscellaneous, YouTube Tags: Miscellaneous, News, YouTube	Leave a comment ? Yesterday, The Training show was beautifully ended. All the kids got a prize and an award. They all are so talented. At the end, Nong Jan and the trainer Boy won the grand prize. I think she definitely deserves it. I like her voice very much and she performed very well on the stage. Great job to all the kiddos! Categories: Movies & Series, YouTube Tags: Thai Series, The Trainer, YouTube	Leave a comment ? I heard that Tata Young’s new album will debut in July. You can listen to the preview of her new singles – Ready for Love, and My Bloody Valentine. Any thoughts on her look and singles??? For me, LOVE IT!